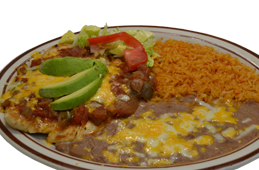 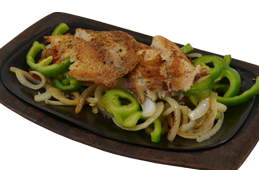 Our exciting famous fajitas with grilled tilapia, fresh peppers, onions, tomatoes and spices served sizzling alone with a plate of guacamole, pico de gallo, rice, beans & tortillas. 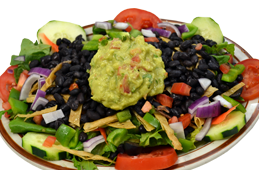 Iceberg & romain lettuce tossed with springs mix, carrots, red cabbage, cucumber and tomatoes topped with whole black beans and avocado with the choice of fresh salsa or dressing. 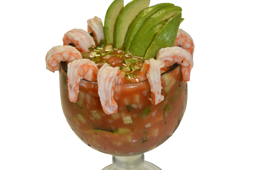 Shrimp broth, clamato, ketchup, salsa tapatio, cilantro, cucumber, onion, avocado, lemon, spices and shrimp.